In an effort to stay true to my Lenten sacrifices I had hoped to showcase lemon in a recipe not involving sugar. I thought I’d found exactly what I was looking for in a recipe entitled braised artichokes in lemon. Needless to say, I ran into some issues. Needing a pick-me-up after totally botching the artichoke recipe I turned to my tried and true recipe for lemon buttermilk cookies, because they’re just so darn light, fluffy and fantastic. I usually double this recipe because this one simply doesn’t make enough (this batch made 22 cookies about 2” in diameter). Line 2 large baking sheets with parchment paper. Preheat the oven to 350°F. 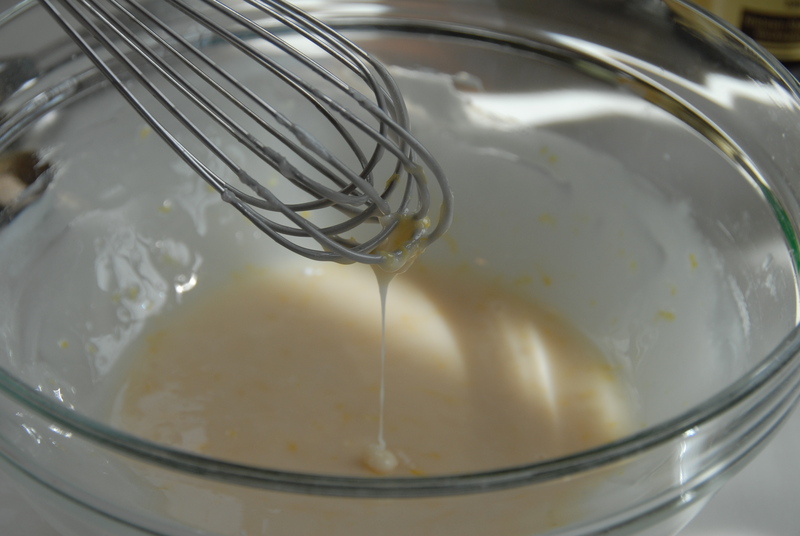 In a medium bowl, whisk together the flour, zest, baking soda, and salt. 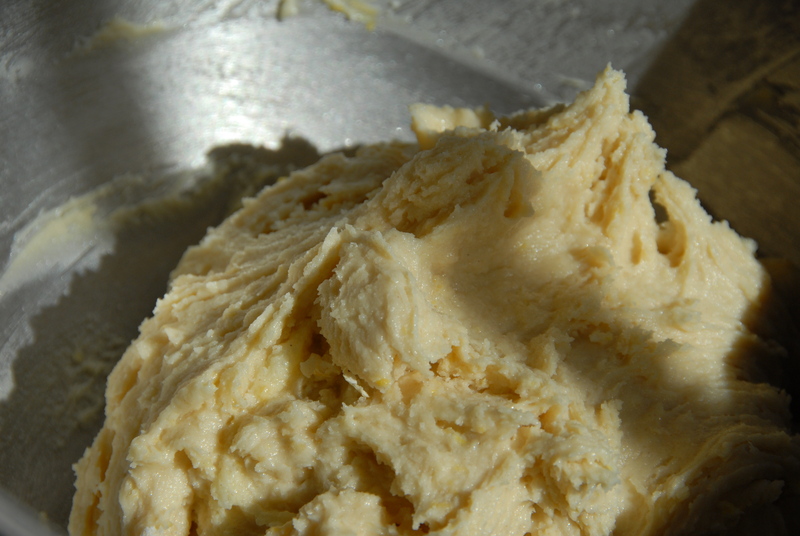 With either a stand or hand mixer, beat the butter briefly, until creamy. Add the sugar, and beat until pale and fluffy. Add the egg, and beat well to mix. Add the vanilla, and beat briefly again. Mix in the flour mixture and the buttermilk in batches at low speed, beginning and ending with the flour. Scrape down the sides of the bowl with a spatula as needed. 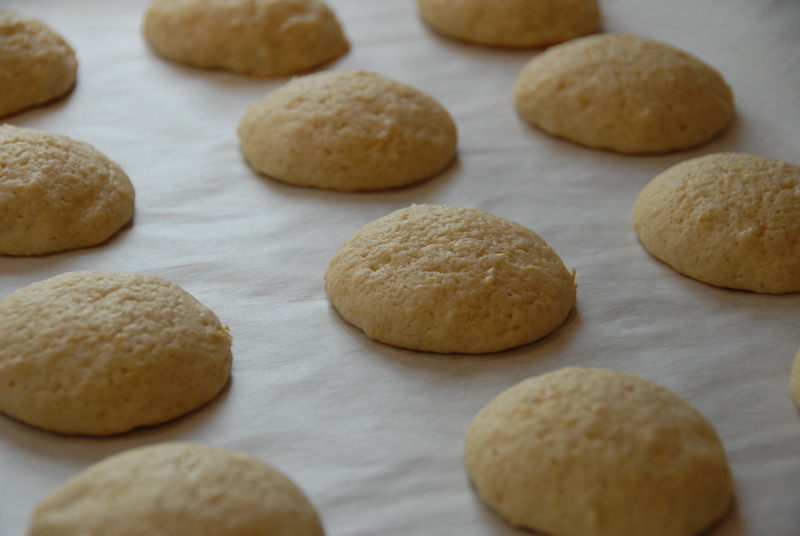 Drop the dough onto the prepared baking sheets, leaving about 1 ½ inches between each cookie. Bake, 1 sheet at a time, for about 12 minutes per batch. 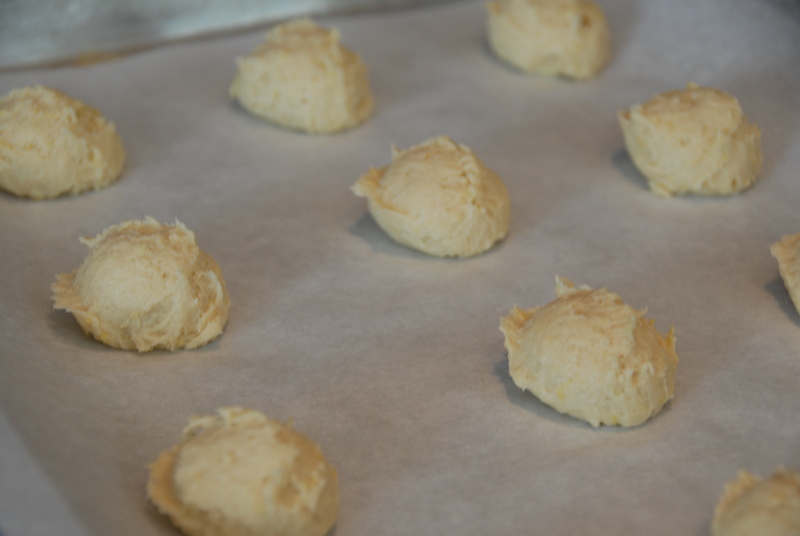 Cool the cookies on the baking sheet for 1 minute; then transfer them to a wire rack. 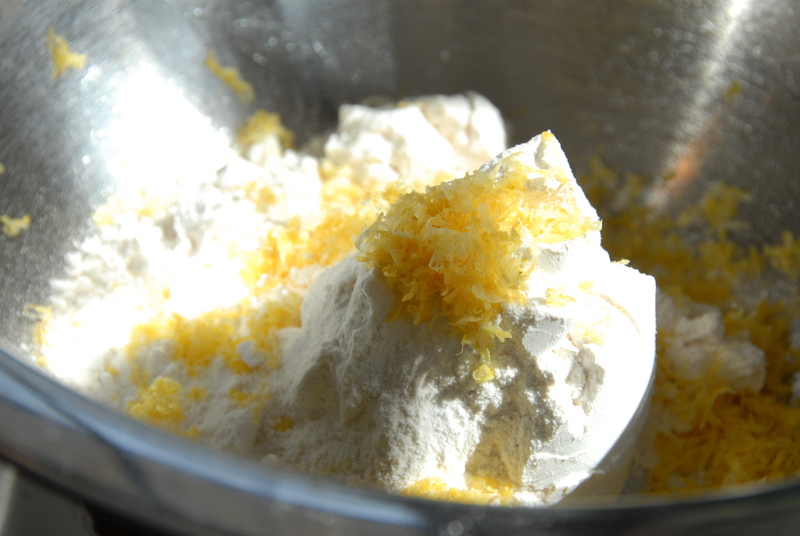 For the glaze, whisk together the sifted confectioners sugar, buttermilk, lemon zest and vanilla. Dip the cookies into the glaze to allow for full coverage. Place the cookies back on the rack until the glaze is set. As I pop a lemony morsel into my mouth a smile comes across my face and I think, “why did I fight it in the first place?” This recipe needed to be shared. *A special thank you to Amanda Niu for baking these for me last winter and bringing this sunny recipe into my life. 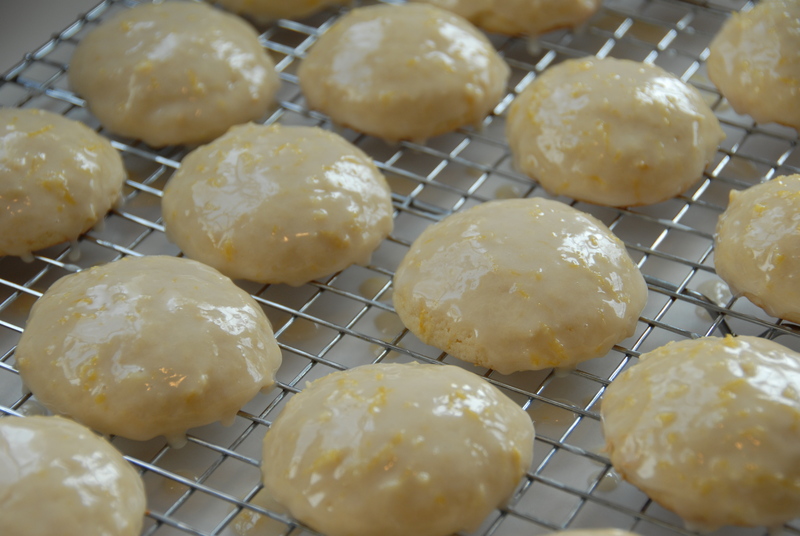 This entry was posted in Lemon and tagged buttermilk, cookie, lemon, zest. Bookmark the permalink.